Live Life Half Price and Making Memories Travel Take over the N.O. 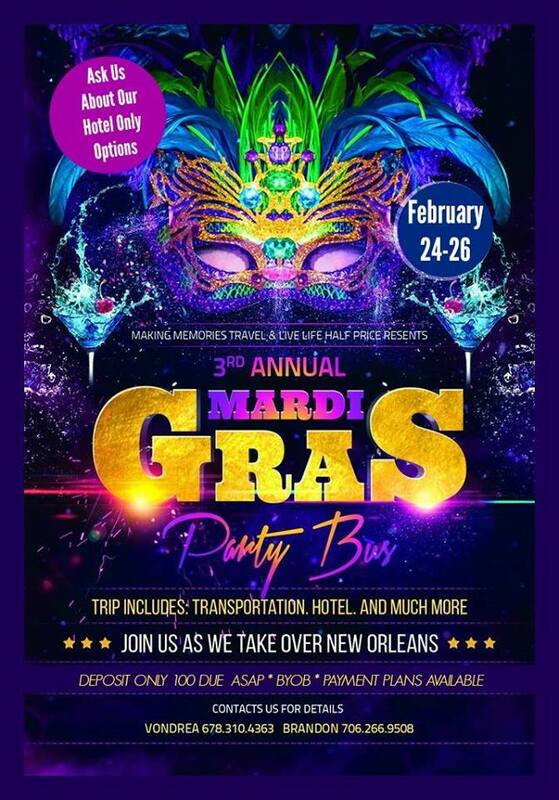 It’s that time again for our very popular Mardi Gras Party Buses to New Orleans for a day full of partying on Bourbon Street. You have not lived until you have experience Mardi Gras. Nothing in this world can top the Mardi Gras festivities in New Orleans. With the spectacular parades, unbelievable costumes, music, dancing, food and popular drinks, this is the biggest celebration ever!